Technology has come a long way over the decades – these days you can browse online, download a file, watch a music video and make a phone call all at the same time (and then some). We’re lucky to live in an era when the development of new technology has never been so rapid, with a huge range of networking and entertainment devices available on the market. 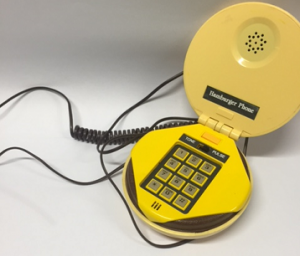 Today you can have your phone, messaging service, TV, music, emails and web browsing all in one handy device, but that wasn’t always the case. Let’s take a look at some pieces of “dead” tech that might not be the bee’s knees any more, but they did help pave the way for the stuff we have today. 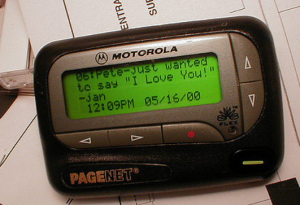 Originally developed in 1950 for use by hospital doctors (a practice which continues today) pagers were also hugely popular as a form of messaging throughout the 1980s-1990s. With a limited coverage range (typically nationwide or smaller) and an even more limited character count for the message that could be displayed on the little LCD screen, pagers were the hip new way to text before mobile handsets with better capabilities such as the Nokia 3310 came around. Motorola ended its manufacturing of pagers in 2001 and today, you’re much more likely to find a pager in a restaurant (to let you know your food is ready) than clipped to a teenager’s belt. The transistor radio is an iconic piece of technology when it comes to music listening on the go. Born in an era full of lots of young people thanks to the post World War II baby boom, you’d be hard-pressed to find a movie about teens in the 1950s-1970s that didn’t show one of these babies being carried around by a wrist strap or in a purpose-made leather satchel case. 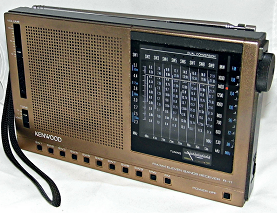 Transistor radios started declining in popularity in the 1980s when portable cassette players with better audio quality came onto the scene, with CD and MP3 players to follow in subsequent decades. Though still a durable piece of hardware that you might find at a building site or a beach party, most people today prefer digital radio or music streaming delivered over WiFi or mobile broadband through apps such as Spotify on their smartphone. All things considered, the personal MP3 player wasn’t long for this world. 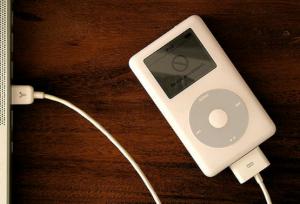 They were a great upgrade to the humble portable CD player and the technology really took off with the release of the original Apple iPod in 2001. Things got even better when the 2007 iPod Touch supported WiFi internet connections to access even more content like YouTube videos, but MP3 players just aren’t a big deal any more. Sure, they still make them, but with smartphones and other multi-purpose devices having a range of music apps plus a memory bank big enough to hold your entire music library and then some – why bother with an MP3 player unless you’re an avid jogger? Australia got its very first telephone exchanges in Melbourne and Brisbane in 1880, just two years after the first telephone exchange in the world was built. For an entire century with decades to spare, the copper landline network has been the heart of Australian telecommunications. Unfortunately, the rising demand for high performance broadband has placed great strain on the network in recent years, and there’s only so much bandwidth an internet service can use on copper line without interfering with bandwidth which needs to be reserved for voice phone calls. The mix of technologies rolling out with the nbn™ will see much of this copper network replaced with fibre optic or hybrid fibre coaxial cable, meaning the traditional landline phone just won’t be available any more in certain areas. Give it another decade or two and the only premises left with a landline phone will be those in areas service by nbn™ Satellite or Fixed Wireless broadband.